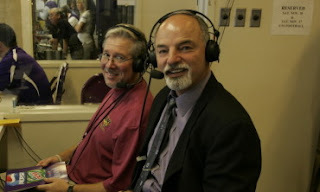 Don't miss Gary Rima, he is a fantastic guy and a great play by play voice! We hooked up with Gary when the Black Bears played UNI in the FCS Playoffs. Gary is also the voice of Panther Football. Northern Iowa is making it 5th trip to the NCAA's and while they have mostly been ousted in the 1st Round, they have not been boring games!